Home Lifestyle Home Garden & Tools Why You Should Let a Pro Take Care of Your Solar Panel Installation. Why You Should Let a Pro Take Care of Your Solar Panel Installation. Congratulations! You’ve just made the decision to install solar panels on your house. Now you just need to find someone to install them for you. If you’re tempted to install them yourself, however, think again. If you want to reduce the odds of something going wrong, you need the help of a solar panel installation pro. In fact, if you keep reading, you’ll learn exactly why you need to ask a pro for help when trying to install solar panels. 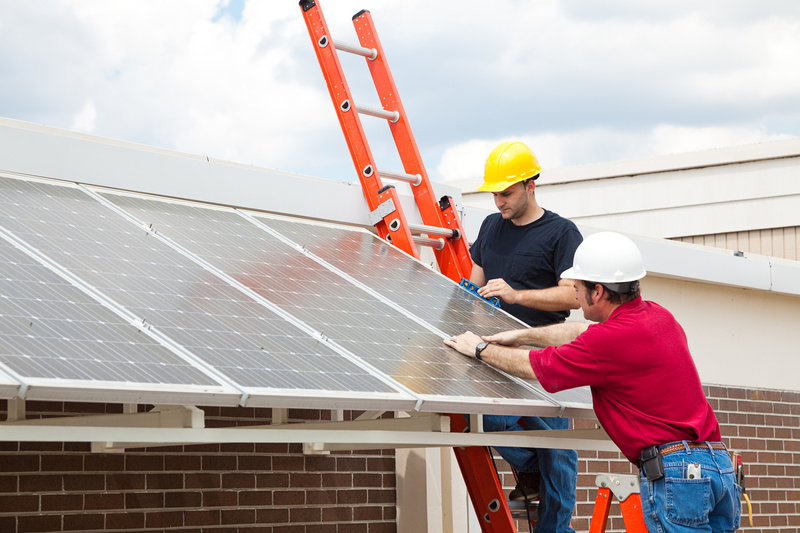 Ready to Find a Solar Panel Installation Pro? Solar panel wiring can be extremely dangerous if not done the right way. Unless you are a qualified electrician, who is up to date on solar panel installation, odds are you don’t know how to go about things. If you do not install the wires properly, you also run the risk of your panels being affected by surges. Power surges can cause irreversible damage to your panels. This can be a big problem as you’ll then need to spend more money to replace your panels if you want to maintain adequate power levels. As you’ve probably guessed, you need to get on your roof if you are going to install home solar panels. However, if you have no experience with being on a roof, you’re going to struggle. This is especially the case if your roof is not flat. A professional solar panel installation expert will have specialist equipment that will protect them in the event of a fall. If you do not have this equipment, you will not be protected in the event of a slip that could lead to a serious fall. You may be in a state that provides rebates for people who have solar panels installed. However, you might not get anything if the solar panels are not installed by a professional. Many states have a requirement that the panels need to be installed by someone who is licensed, in order for the rebates to be paid out. These rebates can amount to a lot of money. The amount you save by doing things on your own, probably won’t pay off as much as you might expect. In some cases, it could actually lead to you losing money, thereby messing up your budget! It’s worth mentioning that your insurance might also be affected if you install solar panels on your own. If you’re going to install solar panels on your roof, you need to know how to plan the installation. This will ensure you get the most coverage, so you can generate the most power possible. If you’re not experienced with solar panel installation, you will struggle to plan this out. You might also make a mistake when selecting the specific kind of solar panel you are going to be installed on your roof. You may invest in a model that won’t be able to produce the right amounts of power. Solar panel installation is something you want to do properly. Skimping out can lead to you losing money and potential even putting yourself at risk. In this post, we’ve taken a look at some of the benefits of hiring a pro. When working with a pro, make sure you hire someone that has the proper paperwork. If they can provide you with the proper licenses, you can rest assured they know what they’re doing. Want to learn more about improving your home? Check out our home section to learn more!